The link has two templates. One for paper piecing and one for cutting each piece. 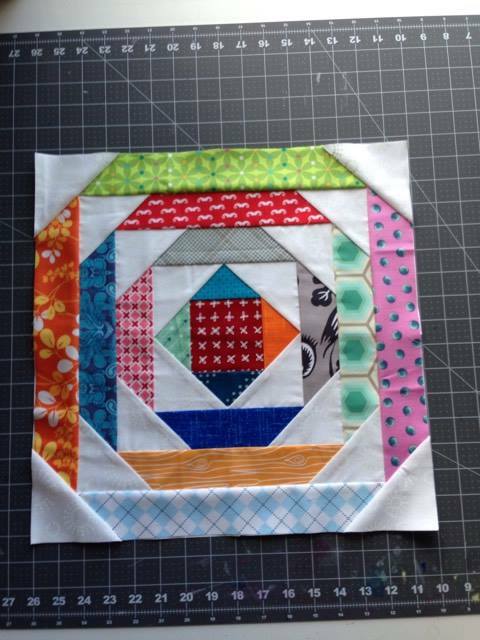 I chose the paper piecing. For the white triangles I cut 5.5 squares and cut diagonally. For the strips I cut them 3 inches wide. 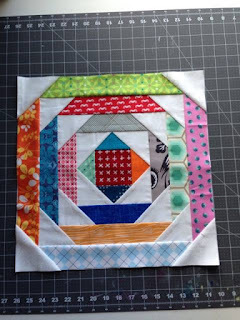 I have found with paper piecing that it is easier to over estimate the size of the piece needed and then to trim down. Make sure the test square is 1 inch when you print. I had to increase the size by 18% to make the square one inch. I will be handing out copies of the templates at the next meeting so you don't have to mess with printing them. I can also mail copies to those not at the meeting. This block took me about 2 hours to complete.